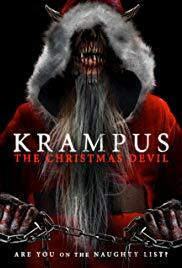 Krampus: The Christmas Devil (2013) O.K., that’s it. No more. This is the last horrible Christmas movie that I’m going to watch and review this year. Of course, I may change my mind tomorrow, but right now I’m as as firm as President Trump’s foreign policy. No more, I say. I really didn’t think I could run across another movie worse than A Merry Little Christmas. I was wrong. Even Killer Christmas was better. The acting was horrible, amateurish and wooden. The actors were just reciting their lines, and there were excruciating pauses where they were sitting there, maybe staring at a drink glass, or thinking about their real jobs. The camera work was the worst I’ve ever seen. Even in A Meowy Christmas, they managed to hold the camera still. There was one scene where a brat was abducted by Krampus that the camera shook so badly I thought I was having a seizure. 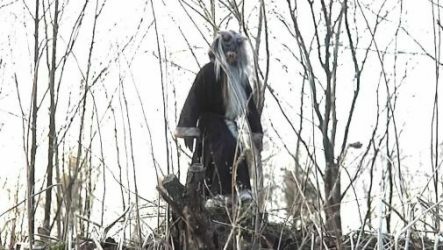 The monster Krampus looked comedic and was obviously wearing rubber gloves. He was mostly moving in slow motion as well. 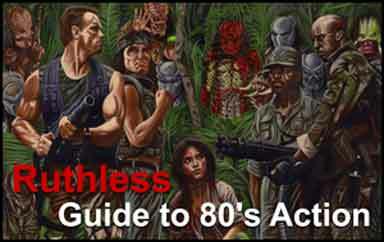 Jason Hull should be banned from ever making another movie; no recourse. The only professional performance was Bill Oberst Jr., and he was on the screen only a very short time. The scene with the cookies and milk was the best in the movie. The pacing and the editing were amateurish and atrocious. There was one excruciating scene when the SWAT officers looked cartoonish. They were skulking and stalking through the woods, then in an open field. Suddenly these officers opened fire with the camera again shaking violently. Somehow, in an almost completely open area, this slow-motion Santa was able to get the drop on ALL 4 SWAT officers who were armed with assault rifles. Krampus was armed with only a chain. I laughed out loud it was so bad. The scene lasted at least 10 minutes, about 9 too long. If that were not bad enough, there was then an immediate cut to a naked, crying woman in a cave. The shaking camera lingered on her naked breasts for an embarrassing eternity. There was no explanation for her presence. Then, it lingered some more with Krampus rubbing her. I swear, she looked bored, not terrified, and who could blame her? I’m not even going to bother with the plot. Oh, there really wasn’t one. Santa was obviously in cahoots with his evil brother Krampus. All the naughty kids had to be punished by midnight of Christmas Eve. The stupid sheriff had been abducted by Krampus as a kid, and carried a big grudge. Even the good Santa was pissed off, but we never learn why. Maybe it was just because he had to be in this awful movie. I just cannot go on. No one should ever watch this abomination. ZERO/10.0 If there were a lower rating, I would impose it.